As college students we hardly have time to have breakfast. Having something to eat before starting the day keeps our energy up and makes it a little easier to go on with the day! 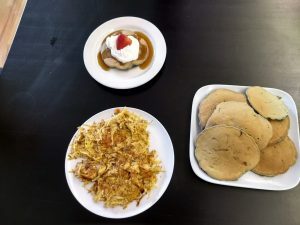 For our cooking class we prepared easy breakfast recipes that you all can try. This recipe was adapted from Good and Cheap by Leanne Brown. We have several copies of the book, you are welcome to come check out the cookbook! Combine the flour, brown sugar,baking powder,baking soda, and salt in a medium-size bowl. Mix thoroughly with a spoon. In another bowl, mash 2 of the bananas with a fork. Add the eggs,milk and vanilla, and mix well to combine. Add the dry mixture to the bananas, stirring with a spoon until everything just comes together. Tender pancakes come from not over mixing the batter. Let the mixture sit for 10-15 minutes. Meanwhile slice the 2 remaining bananas. Turn the griddle to medium heat. Once its hot, melt a small amount of butter, about ½ teaspoon, in the skillet and ladle some pancake batter into the center of the pan. Cook until it’s browned on both sides, about 30 seconds to 1 minute per side. Serve hot with syrup plus the remaining banana slices. Career Aspirations: My career goal is to develop my own website that will offer various things to help the people in need. I also want to work with a company that will help me gain all the experience that I need to go out in the real world and work on my own. Why did you want to work at the HSRC? I wanted to work at the HSRC because I love helping others. When I first heard about the HSRC, I was so amazed by the work they do. 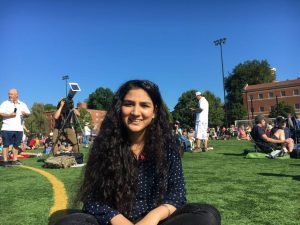 Working at the HSRC means meeting new people, making connections and it gave me a chance to be an active part of the OSU community too. What will we be working on this year? I will focus on reaching out to more people about our textbook lending program and HSRC. In my free time I like to make some tea or coffee and watch Netflix. I also play badminton when I have time. What’s your favorite yummy and cheap meal to make? My favorite quick, yummy and cheap meal is egg sandwich. I just make an omelet and put it in toasted bread with mayonnaise and ketchup. Do you have tips for students on how to save money? My first tip would be to get involved with our HSRC. We have all different kinds of services that can help a student save a lot of money. My second tip would be to make food at home instead of going out to eat because I saved a lot of money when I stopped eating outside everyday. What is your favorite thing to do in Corvallis? Corvallis is all about nature. I love going to the different parks . I like to walk around Downtown Corvallis too in the night. Career Aspirations: My career goal is to become a research scientist in pharmaceuticals . I wanted to work at the HSRC because I wanted to get more involved with the community. 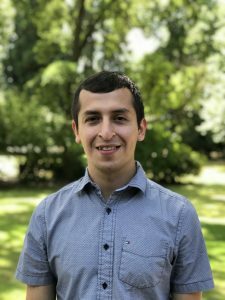 As an international student, I felt very limited in my connections with the OSU and the Corvallis community. Furthermore working here allows me to reach out to more people about the resources that the HSRC has and spread awareness. I think it can be really tricky to navigate life as a full time students and through the HSRC I get to provide support and guidance. I will be working on organizing Food Pantries throughout the year. My goal is to make the Food Pantry a a very welcome place with enough resources to increasing number of patrons. In my free-time I like to watch YouTube videos, go on walks, read and relax. My go to cheap meal is Kimchi Ramen, it’s not very healthy but it is so good and it’s cheap! I think from my experience I have learned to meal prep, you will not realize how fast the money goes when you are eating meals out everyday! It makes a huge difference to your bank to not eat out everyday! I really enjoy going to different parks with my cat and friends and taking evening walks. 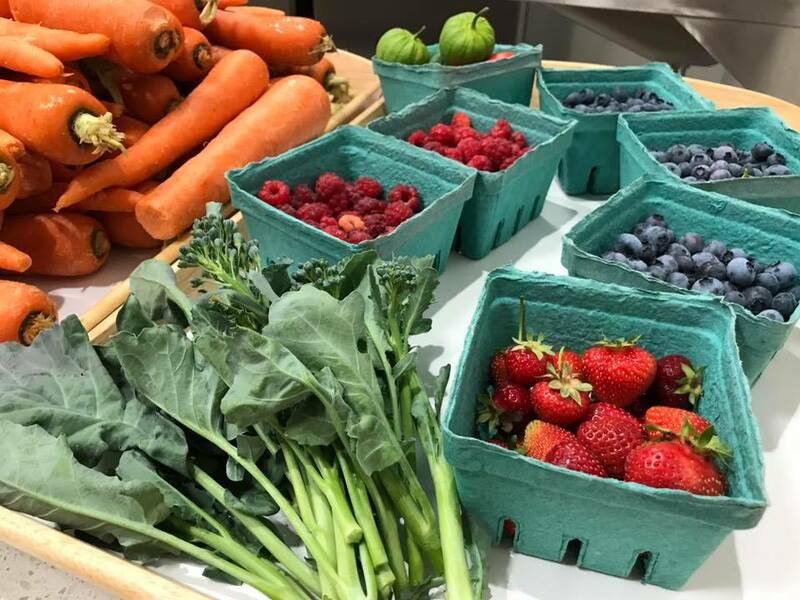 In the summer and fall months, fresh produce is an important part of our food security efforts – and will likely be so for the coming years. 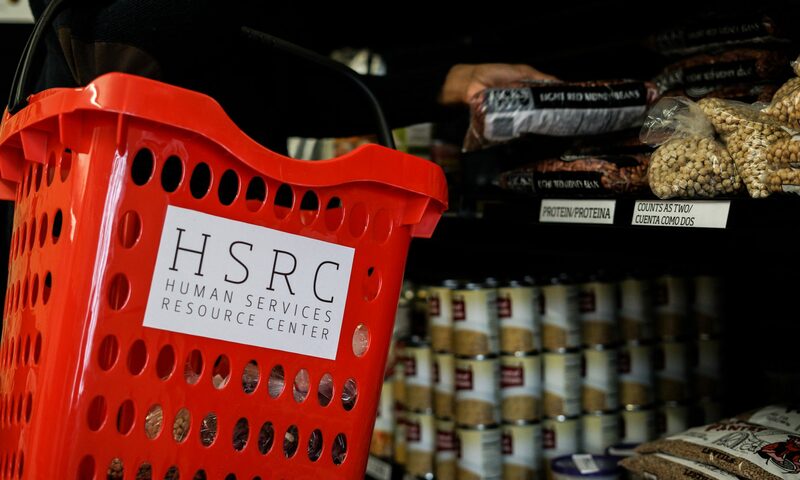 The Human Services Resource Center is currently seeking a full-time (1.0 FTE) Food Security Programs Coordinator at Oregon State University. This position will administer most of the HSRC’s food security programs, which currently include: a robust campus-based food pantry, outreach to students who may qualify for SNAP (Supplemental Nutrition Assistance Program) benefits, select social media accounts , and the HSRC’s cooking workshop series. The Food Security Programs Coordinator will supervise student staff and advise interns and short-term volunteers. The position will be responsible for maintaining both the general safety and food safety of the HSRC Kitchen and HSRC Food Pantry. This position is part of the HSRC Leadership Team, guiding the strategic direction of the HSRC. The position is charged with building the HSRC’s capacity to provide resources, conduct outreach, and offer programming to students focused on food security. 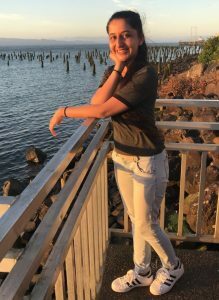 The bigger theme of this role is to cultivate a sense of abundance on campus that further connects and enriches our students’ experience at Oregon State University and their broader communities, particular in conversations about poverty, classism and economic opportunity. Deadline for applications is April 04, 2019. 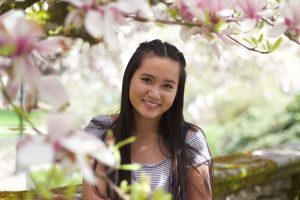 Major/Minor: Human Development and Family Sciences with a pre-nursing focus. Career Aspirations: My career goal is to become a registered nurse. I would like to one day work with either pediatrics, neonatal, or adults in the ICU. Why did you want to work at the HSRC? I wanted to work at the HSRC because I want to help students that were going through the same thing I am going through. No one should feel like they have to skip a meal, not knowing where they are going to sleep, or whether they should continue their education because of the expenses. Working here allows me to reach out to more people about the resources that the HSRC has. What will we be working on this year? I will be working on creating, as well as collaborating events with different clubs and organizations on campus. My goal to have meaningful events that will educate and promote what we do here at the HSRC. What do you like to do in your free time? In my free time, I like to just relax with a face mask and watch puppy videos on YouTube! What’s your favorite yummy and cheap meal to make? My go-to cheap meal is spring rolls with peanut sauce. It’s a quick, easily, AND healthy. Do you have tips for students on how to save money? One thing that I would recommend is to not impulse buy. Really think through about whether or not you really need it or if that money could go towards something else. Another tip is to start a change jar. You’d be surprise about how fast it adds up! What is your favorite thing to do in Corvallis? I really enjoy going to Benny’s Donut and trying trying their monthly flavors! Students facing homelessness and/or housing insecurity is not something well known. We at the HSRC are able to offer temporary housing on campus, but this is not a permanent fix. The purpose of this blog post is to educate about emergency housing resources in Corvallis. This program is a Transitional Living Program that is available to anyone 18 years of age until their 21st birthday. The locations are confidential. Participants are offered up to 18 months of services. This includes a bed, case management, skill building, financial support, mental health services, and community building. Upon entering a person is obligated to be pursuing either: Employment or Education. While living there, a person is asked to pay a flat rate or percentage of their monthly income as a form of “rent”. This “rent” gets stored in a savings account and when a person exits the program, they are given the amount back to help with costs of moving into a new place. The program currently offers 8 beds (with plans for more in the very near future). When those beds are already occupied a person applying can opt to be placed on a waitlist. A requirement of this waitlist is to engage with an Outreach Case Manager and attend a weekly skills workshop. This is to potentially find an alternative solution to their situation, thus opening up a spot for someone else. The application for this program can be found through the link provided. 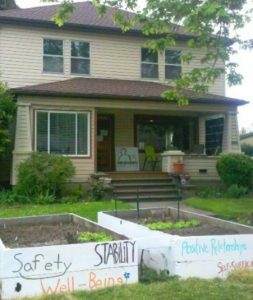 Applications can be submitted to the Corvallis House at 555 NW Jackson Avenue. This is the primary adult shelter in Benton County. It is located at 865 NW Reiman Avenue. They primarily provide services to families, women and children, and veterans. This includes housing, case management, guidance seeking employment, etc.. They have 70 beds available and are often at full occupancy, but a bed can become available at any minute. They do require sobriety. Housing First is a national model for eliminating homelessness within a respective community. 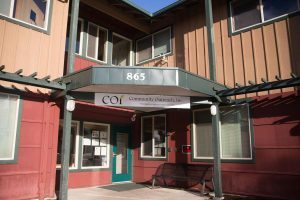 Corvallis offers two locations within the community that offer long term housing for those experiencing or at risk of chronic homelessness. The goal is to provide stability and structure for folks exiting the streets with the assistance of case management and accountability from a professional staff. 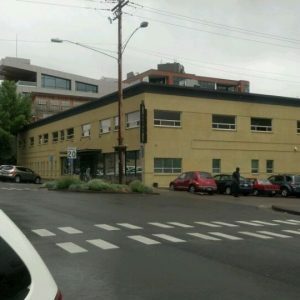 Willamette Neighborhood Housing Services is a private, nonprofit community development corporation committed to improving lives and strengthening communities through quality affordable housing, homeownership, economic opportunity, and community partnerships. They provide educational and financial services to secure your future. They are able to make referrals when necessary and help guide you through the process of finding stable housing. Community Services Consortium offers a variety of programs. In regards to housing they offer rental assistance and utilities assistance programs to help alleviate costs of living. It is important to keep in mind that just because you are not in need of these resources, someone you know might be. So pay attention to those around you and refer anyone you hear is struggling with this issue, so we can begin to get them the help they need. 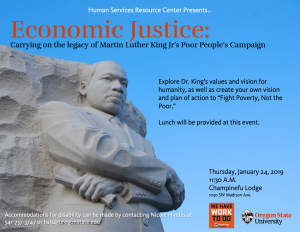 On January 24, 2019 as part of OSU’s annual Dr. Martin Luther King Jr. Celebration, students, faculty, staff and community members came together at the HSRC for Economic Justice: Carrying Forward Dr. Kings Poor People’s Campaign. In addition to providing access to basic needs resources, the HSRC also serves as a community space for dialogue around social justice issues such as class(ism), poverty, and food insecurity. Dr. King and campaign organizers called for a mass mobilization of an “army of the poor” to Washington D.C. to engage in nonviolent civil disobedience and petition the government to take action towards eradicating poverty. Tragically, Dr. King was assassinated on April 4, 1968, a day after he marched for economic justice with striking sanitation workers in Memphis. While Dr. King’s vision of “a radical redistribution of economic power” was not realized, 50 years after his assassination, the “evils of racism, poverty and militarism” remain as relevant today as they were then. Our group discussed the vision laid out in Dr. King’s Economic Bill of Rights, and updated it to reflect the needs of today. Who determines what is “meaningful” and “adequate”? 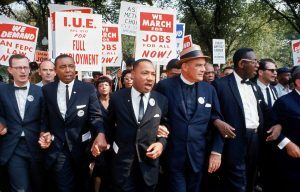 In the poor people’s campaign, King advocated for nonviolent direct action that pushed America toward a social revival of morals grounded in love. He believed that systemic injustice and exploitation dehumanized people, both the oppressed and the oppressors, preventing them from truly loving each other. He understood that by expressing love through acts of nonviolent resistance to specific structural injustices–we are ultimately practicing love by eradicating systems that prevent people from seeing each other as fully human. In order to realize our hopes and dreams for a more just future and society, our group discussed and shared actions we can take today to carry forward Dr. King’s values of racial and economic justice. Engage more with others by talking, smiling, hugging, etc. Be the change we want to see! The issues of racism, poverty, economic inequality, and militarism are as much of an issue in 2019, as they were in 1968. An Economic Bill of Rights rooted in the values of Dr. King and the Poor People’s Campaign in needed now more than ever. Despite the injustice that persists today, people left feeling a sense of hope in what we can accomplish together as a collective. 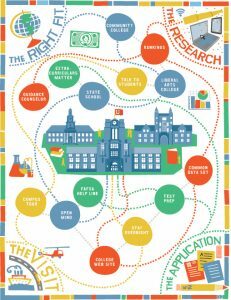 Navigating college as a first-generation college student can feel like making your way through a maze with no map, filled with “learn as you go” lessons, and “crap, I wish I knew this then.” When you combine that with being low-income, it can feel like you’re navigating the same maze blindfolded, on a tightrope, balancing multiple responsibilities. It should not be like this. I started OSU in 2008 and graduated with my masters in 2014. Recently, I returned to OSU to serve as the first ever Basic Needs Navigator at the HSRC. My role boils down to connecting students to resources that help ensure basic needs are being met. I also support students as they navigate institutional policies and procedures in search of resources. At the end of the day, I am most concerned with connecting students to resources (this often means $$$), so they may only worry about studying for midterms, not about how they will eat or pay for rent. Since July, I’ve helped students access over $161,500 dollars in resources. 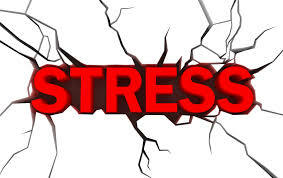 Keep reading to learn how I can help alleviate financial stress. I know firsthand how difficult it is to navigate college on your own. Of seven siblings, I was the first one to attend college. I have one memory in particular about my transition to OSU, no matter how far removed I am from it, I feel what I felt then by just thinking about it. 10 years ago, I was walking across from where my office is now, Champinefu Lodge, eating cheerios out of the box- it was the only thing I had eaten that day. I had no money to buy anything else. Out of the blue, I began to sob as I stuffed handfuls of Cheerios into my mouth. It was 10pm, dark with no lighting, I assumed no one would see me cry. I had never felt so alone in my life. Not knowing where to go or who to turn to for help, I felt like I had no choice but to get through this experience alone. “Who else would be experiencing this in college?”I thought to myself. The reality was that I was not alone in my experience. 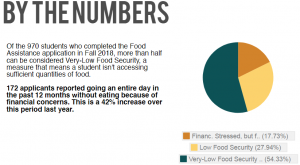 Of the 970 OSU students who applied to the Food Assistance Application in the Fall of 2018, 54% percent were “very-low food secure” as determined by USDA’s Definition, with 18% of applicants reporting to have gone an entire day in the past 12 months without eating because of financial concerns. That is 172 students, 42% higher than last year when 117 students reported that! I was not alone in my experience back then, and you are not alone in your experience today, WE SEE YOU! The HSRC is here to help. Grant money!- parent lost a job/financial situation does not reflect that of 2016 tax year? Pell/financial aid running out a few terms away from graduation! Why should you come see me? I helped 120-ish students access over $161,000 since I started in July. You might be missing out on resources that you would otherwise be receiving. Looking back at my college experience, I identified over $10,000 dollars that I missed out on because of bad advising or not being aware of resources. I will do everything I can to try to make sure that you will leave our meeting with knowledge of at least one new to you resource ($$) that you have access to, if not more. I am here to support you! You should not feel alone in your experience. College and academics are hard as it is- financial stress is the wrong kind of rigor many student face. Let me work alongside you to make it a little less stressful by connecting you to resources. If you would like to find a time to meet or have questions, please email me at miguel.arellanosanchez@oregonstate.edu. 1.In a large pot, heat olive oil over medium high heat. Add acorn squash and onion. Saute until soft, about 5 minutes. Add black beans, vegetable broth, tomato paste and fire-roasted tomatoes. 2.In a small bowl, combine spices and mix. Add to chili pot. 3.Reduce heat and simmer for about 30 minutes. 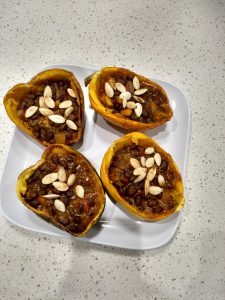 4.Top with toasted pumpkin seeds. Students: Come work at the HSRC! 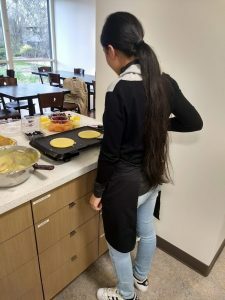 Please help us spread the word about this opportunity at the Human Services Resource Center: We are looking for three students to help us with various projects through the rest of the academic year – our existing staff is overwhelmed and overstretched and we need more students to help us serve students! Food Pantry Assistant: This person will provide additional support to food pantry projects, assisting the Food Pantry Organizer with needed tasks, but generally mostly supporting the HSRC Food Pantry. This would be a really great role for a student interested in food justice, food sovereignty, nutrition, food security, health promotion, retail/merchandising, non-profits, etc. Textbook Lending Program Assistant: the student who currently oversees the HSRC Textbook Lending Program will be graduating in May and we are hoping that the student hired into this role can work alongside current staff to learn processes and help make a transition to a new student staff as seamless as possible. This role is one of the most technical we have – it involves some database work, pulling some reports, and some skill with Microsoft excel (more than your average student may know). This would be a really great role for a student interested in technology, engineering, business/operations, etc. Any other student, interested in justice or educational access, and who isn’t afraid of learning new, somewhat intimidating computer skills/processes would also be well suited to this role. Events and Programming Assistant: This person will help plan events and workshops at the HSRC as we built out having more conversations about socioeconomic identity, classism and as we provide more skills workshops for our students (cooking classes, budgeting etc). This would be a good role for any student who wants to plan events and is interested in economic justice, social justice and/or topics related to food security, housing affordability and the challenges of being under-resourced while in college. We hope and anticipate that students hired into these roles, if successful will be asked to return in subsequent years, possibly in other staff roles pursuant to the student’s interests and strengths. The HSRC anticipates paying these students $11.75 to start and if they return to their role next year, it’s likely that they’ll then be earning $12.75. Students must apply though the OSU jobs page for each position they are interested in. First priority for review of applications will be Dec 1 – we are hoping to hire and have these staff in place by start of Winter term.